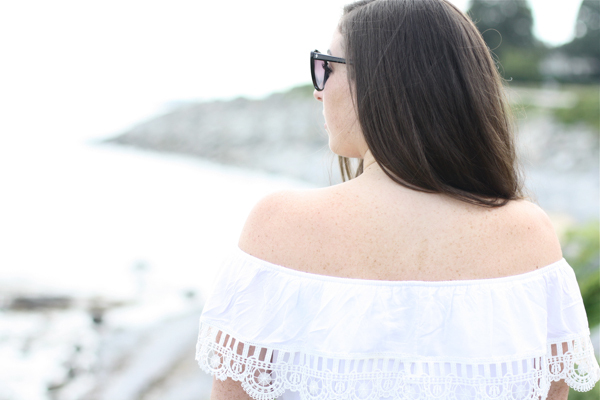 Today's post includes just about everything I love in life: good food, beautiful views, preppy outfits, and of course, good company. 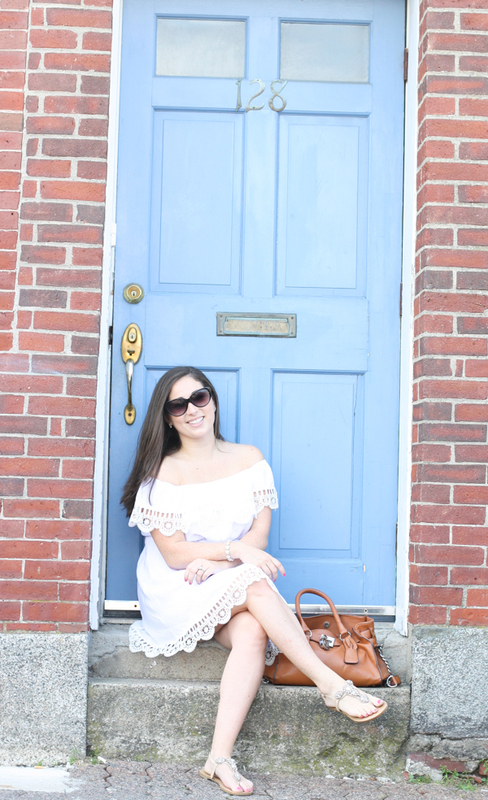 Welcome to part 2 of our girls weekend in New Hampshire. On the first day, we took a ride out to Portsmouth to walk through the town, enjoy a cup of iced coffee, and a stroll along the bay. There were so many adorable shops filled with nautical souvenirs and fun local fashion. 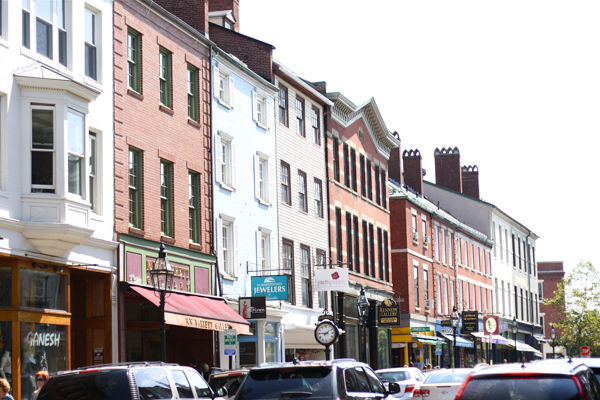 We spent a few hours walking through downtown soaking in the warm, salty air and photographing the quintessential New England doorsteps. I think by now it might be a little obvious I have a slight obsession with feminine details, not just in the form of fashion, but in food, decor, home and architecture too. After Portsmouth, we took a drive out to the Seacoast Science Center in Rye, New Hampshire and snapped more than enough scenic photos of the sailboats and rocky coastline (above). 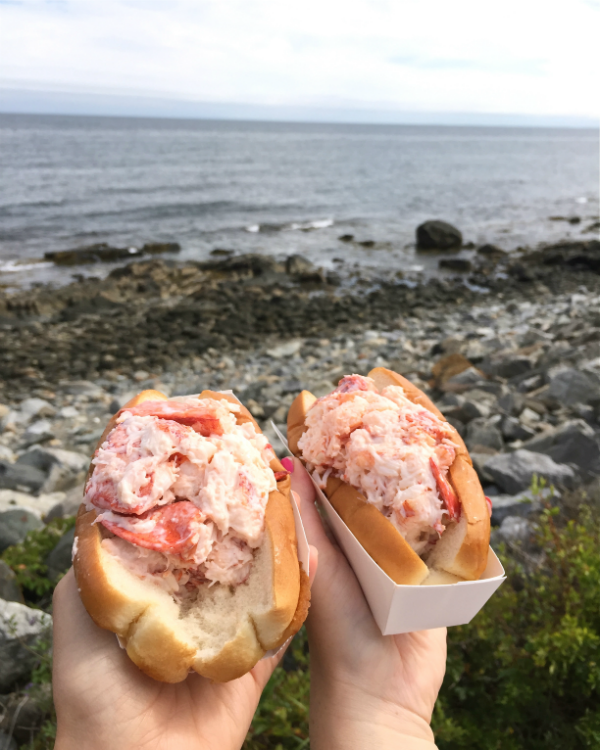 By this time, we were absolutely starving so we stopped into Beach Plum in North Hampton to indulge in a true New England lobster roll. I was in complete heaven! Let me set the scene for you: extra toasted bun, slightly buttery, and a delicious mound of fresh lobster...oh, and we found a bench situated on the side of a cliff overlooking the ocean. I don't even think pictures or words could describe how perfect this moment was!! I still dream of that lobster roll (below). 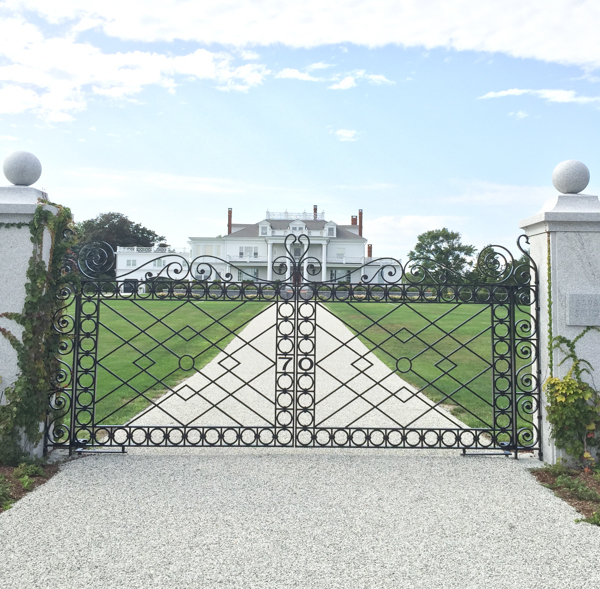 We ended the day with a drive down Ocean boulevard to view all the pretty mansions situated on the coast. I loved one so much, I made Katie pull over in the middle of a tight street so I could hop out and take a photo (below). I'd say this was the perfect ending to our day. Can I move into that house now?! (the last one pictured). I love that black and white dress! Looks like a great vacation trip. Amazing pictures dear, I really love your outfit!!! !